Connection of the universal capacitive probe to a COP (Coil On Plug) ignition system. 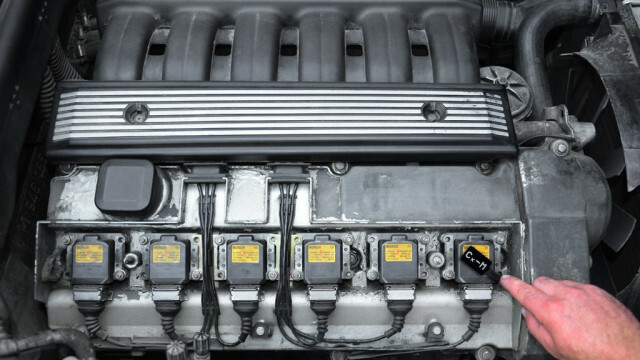 Connection of the universal inductive probe to a COP ignition system. 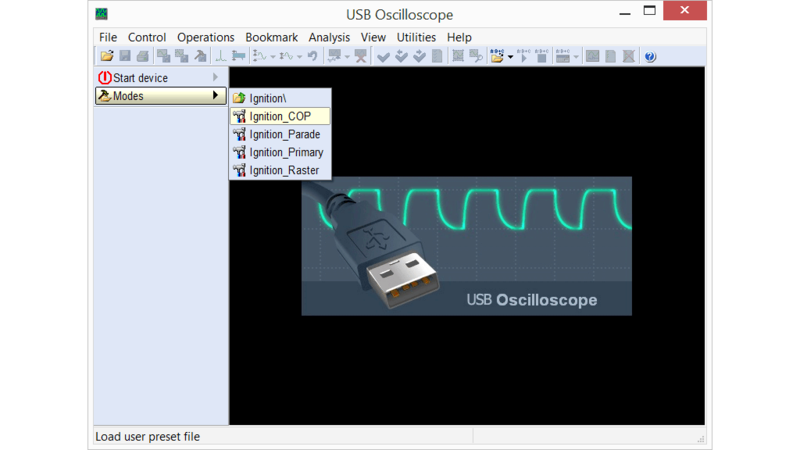 Setting the USB Autoscope IV to display ignition pulses from a COP ignition system. High voltage waveform from a COP ignition coil in good condition, obtained using the universal capacitive probe. 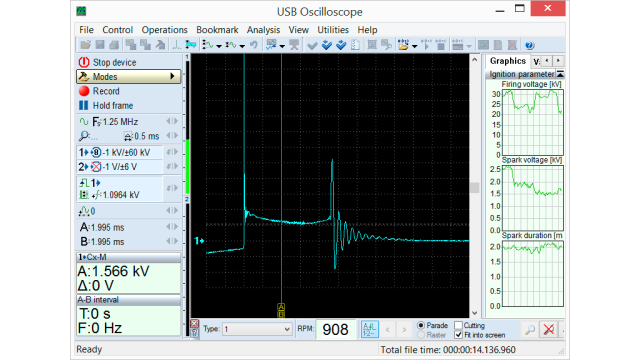 High voltage waveform from a COP ignition coil in good condition, obtained using the universal inductive probe.